Ensure optimal power or sample size using power analysis. 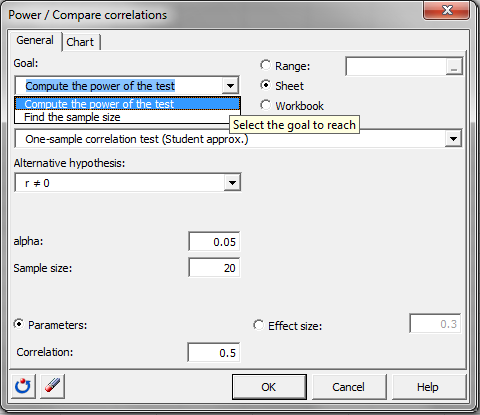 Power for the comparison of correlations available in Excel using the XLSTAT statistical software. We therefore wish to maximize the power of the test. XLSTAT calculates the power (and beta) when other parameters are known. For a given power, it also allows to calculate the sample size that is necessary to reach that power. The alternative hypothesis in this case is: H a: r ≠ 0 The method used is an exact method based on the non-central Student distribution. The non-centrality parameter used is the following: NCP = √ r²/(1-r²)* √N The part r²/(1-r²) is called effect size. The alternative hypothesis in this case is: Ha: r ≠ r0. The power calculation is done using an approximation by the normal distribution. We use the Fisher Z-transformation: Zr = ½ log[(1+r)/(1-r)]. The effect size is: Q = |Zr - Zr0|. 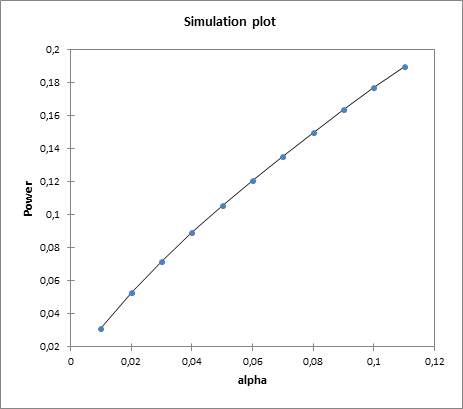 The power is then found using the area under the curve of the normal distribution to the left of Zp: Zp = Q * √N - 3 - Zreq where Zreq is the quantile of the normal distribution for alpha. The alternative hypothesis in this case is: Ha: r1 – r2 ≠ 0. 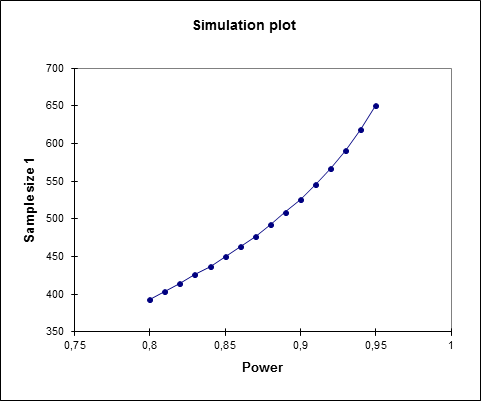 The power calculation is done using an approximation by the normal distribution. We use the Fisher Z-transformation: Zr = ½ log[(1+r)/(1-r)]. The effect size is: Q = |Zr1 - Zr2|. The power is then found using the area under the curve of the normal distribution to the left of Zp: Zp = Q * √(N’ – 3)/2 - Zreq where Zreq is the quantile of the normal distribution for alpha and N’ = [2*(N1 - 3)*(N2 - 3)]/[N1 + N2 - 6] + 3. 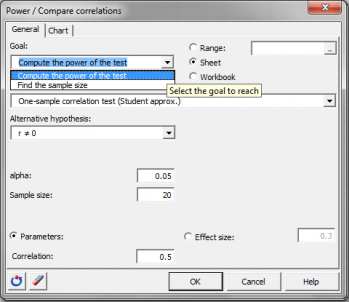 XLSTAT allows you to enter directly the effect size.